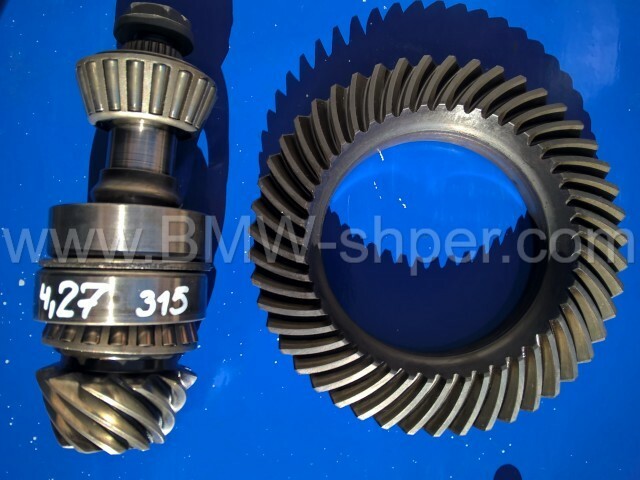 BMW 4.27 CWP ratio gear set. 4.27 ratio has tooth count 47/11. Original BMW final drive. This is a medium case 188 mm size. Every typ188 has bolt size M12x1,5. (It seems to be a popular fallacy in the north that E30 has M14x1,5. Only E36 M3 3.0 has bolt size M14x1,5).